As you no doubt have already figured out, there is a wide, even diverse gamut of conditions that can affect children, young adults, and their families. SO … what I will do here is put this information into language that will make it easier to get our heads around the sometimes mind-boggling array of disorders or as some still say … disabilities. It is really important to me that as you do your research you keep in mind that some internet entries can be vague, overly-simplified, even insincere or shallow. This can be pretty hurtful. I will strive to be sensitive to what you may be handling and encourage you to look at things that sting with the understanding that as your knowledge grows you won’t feel like the ‘rug has been pulled from under you’ and ‘the wind sucked out of your sails’. I don’t want that for you. If at any time I have neglected to honor you drop me line so I can try and resolve that concern. You may not find your specific condition’s information here as what I want to focus on is how to advocate well when the need arises. So when and where a condition becomes relevant to effectively advocate I will get it covered. I believe it is important to get this overview so you can identify all the ways you may need to powerfully advocate for your loved one. So looking at the big picture, here are the 7 disorder categories that you may be having to understand and manage. Keep in mind that often times there is overlap of one condition with another. For instance, the brain disorder asperger’s syndrome is most certainly a social communication disorder that often times will presents with neurological disorder symptoms like ‘sensory processing’ issues such as finding scratchy clothing maddening or the penchant to scream or melt down at loud noises. This overlap will likely be important when establishing the services you may need! As the parent of a child who has severe dyslexia impairments I found this this site be very informative. There is very little information regarding this disability and definitely needs a voice. Thank you for recognizing and advocating for these needs. I look forward to reading and learning more from your site. Linda, you have something truly wonderful here! Your site is very helpful, informative and inspiring! Love the visual layout too! Well done!! Thank you for taking time to visit my site. I am pleased that you see it is helpful. That it is informative and inspiring is very encouraging. As my reach gets out further into the internet world, I am hoping others will feel as you do. Your kind response is most appreciated. I am glad you are helping these special kids and families. Thanks for caring and dropping by to see what we are doing. I am finding that as I help my granddaughter I find ways that perhaps help someone else. Working on a blog right now about a drug often prescribed for kids that apparently doesn’t have a good reputation. You have a wonderful site! I have a few friends that have children with special needs, and i took care of some adults as well. It is so important to be educated in this topic and for it to be taken seriously. Good luck to you and your site! Thank you Mel, for dropping in to see what I am doing with my SNAP (special needs advocate power) site. I keep working on making it better and to bring more value to those who do drop in. I have allot in the works and hope to get published soon and regularly. I appreciate your comment and well wishes!!! 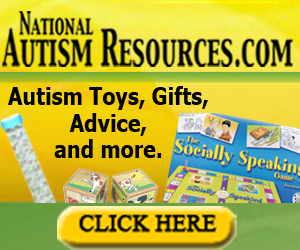 This is a useful site with interesting information that will be helpful to those needing assistance and advice. I commend you on your sensitive writing approach in your articles. Well done, you are truly inspiring. Thank you, Rob, for your valued opinion and encouraging words. I certainly hope others who may be like me, and are in this learning curve will find something of value for themselves and their precious loved ones. After long time I am seeing your article, fascinated about your writings. The way you present your articles are always fair with actual facts and information. Thank you for sharing. I am working on my site’s security needs as we exchange comments. This article, while written a bit ago is only becoming more and more supported by science. I hope you will make time to read it.